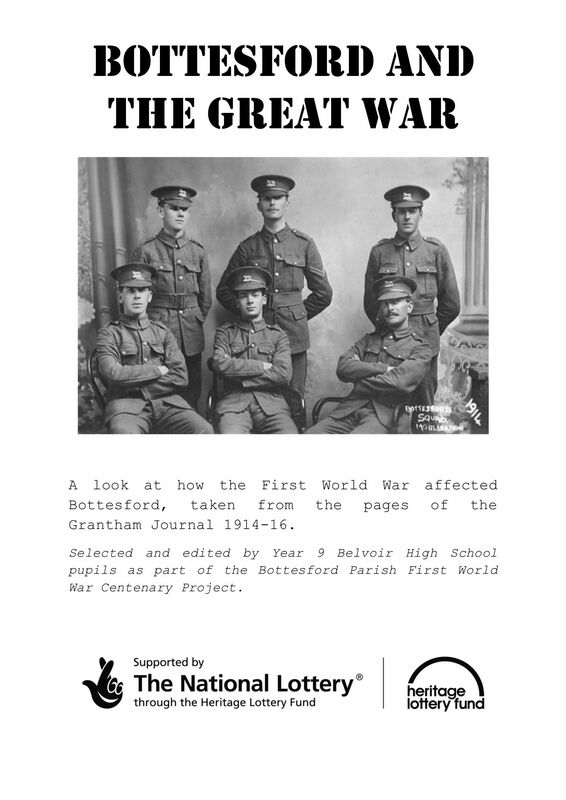 You are here: Home>Bottesford Parish 1st World War Centenary Project>News and publicity>'Bottesford and the Great War' - out now! 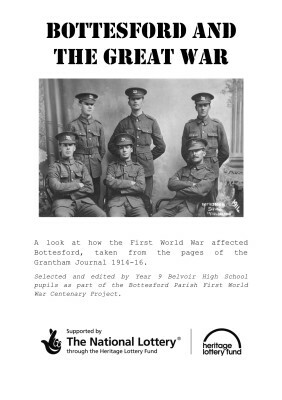 'Bottesford and the Great War' newsletter produced by Year 9 pupils at Belvoir High School using articles from the Grantham Journal compiled by the Bottesford Parish WW1 Centenary Project. The Bottesford Village Voice kindly volunteered to distribute it to the 1800 households within the Parish.